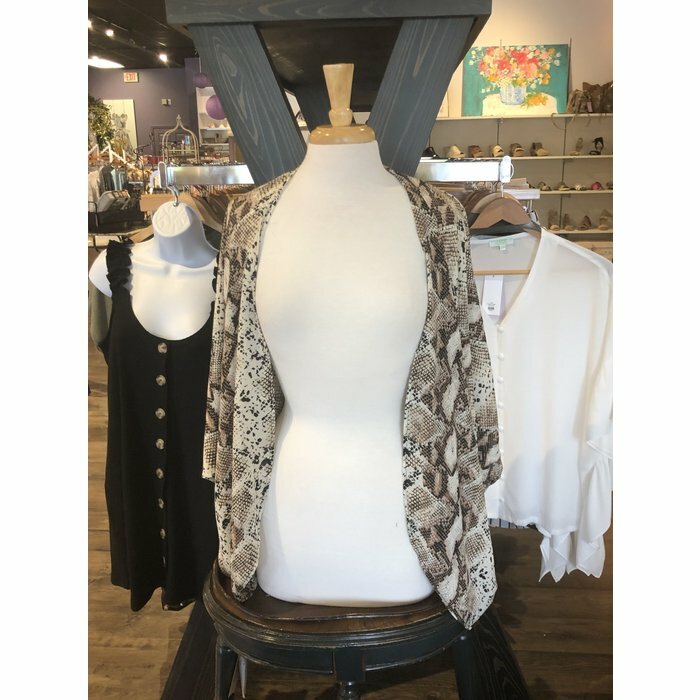 This seasons favorite print is snake! 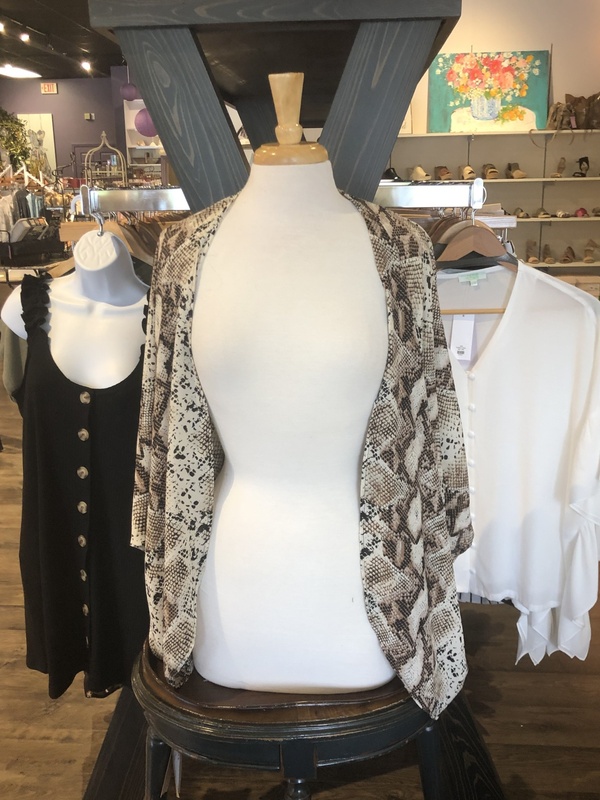 Add this Kimono to your outfit for that little bit of covering. Or use at the beach for a coverup.